Dave and Deb sold our parents’ house very quickly and very close to the asking price, which exceeded our expectations. They were referred to us by friends and we would highly recommend them to others. They were very dependable, professional, and easy to work with; but it is their integrity that impressed us most. We felt that their advice and guidance throughout the process, and especially during the negotiations, was honest and realistic. They were attentive and made us feel like we were their only client (of course, we know they have a busy client list!) In our view, the thought and care that went into each step of the process is what gave us a superior result. Thanks for everything! You listened to what I wanted and suggested appropriate properties. I was impressed by your professionalism and knowledge of the current housing market. I enjoyed working with both of you and will be sure to recommend you to all my friends. Working with Deb and David was a pleasure from the very beginning . They were professional, knowledgeable about the housing market, and answered all our questions. Deb staged my house and really brought out its character and charm. It sold to the first person who walked through the front door for the listed price. David helped us buy a new home and patiently went through many homes with us before we found the right one. Deb and David make a great team and are genuinely nice people. Again, thank you for helping us out a third time in our real estate “adventures”! As a first-time homebuyer, I needed a lot from my REALTOR® and Alexi was everything I could’ve asked for and more. She is very knowledgeable about the market as well as homes. She noticed things I would never have thought to look for and gave great advice when it came to repairs in certain homes we saw. Alexi responded to all my questions (and there were many) thoroughly and honestly. What I liked the most about her, was there was no pressure. She was patient with my decision-making process and offered well thought out opinions when I asked for them. I can’t thank her enough for getting me into the home I wanted at a price that worked within my budget. Alexi went above and beyond at every opportunity, she is truly a gem and I wouldn’t hesitate to recommend her. Two words to describe the Deb and Dave team is professional and caring. Our condo sold in just over a week and they made us a part of the sale every step of the way. You are in safe hands. Deb and Dave were a pleasure to work with. This was house number two for me and I was quite impressed that not only did I get the asking price for my house, it sold within 48 hours of the sign going on the lawn. It was reassuring to be kept in the loop every step of the way and never did I have to wonder what was going on. We can’t say enough positive things about Deb and Dave, a first rate team. Their extensive knowledge and experience made it easy to trust their advice and judgement. And we are extremely grateful for both their hard work and consistently upbeat approach through the stress of buying and selling a home. They simply know how to do it right. We would highly recommend Deb and Dave to anyone. Deb and Dave are proactive, extremely responsive and exceptionally fun to work with. More importantly, they are consummate professionals who were there for us from the moment we first called them until we finalized our home sale, responding to our questions and concerns on a timely basis, working with other agents, proposing strategies and seeking best options. We were most impressed and are very grateful for all you did for us, Deb and Dave. Cheers, and many thanks! Deb and Dave, The third time was a charm, so why not try for a fourth? The fact that I am entrusting you both with yet a fourth property listing should speak volumes to existing and potential clients. Through each of these experiences you have continued to provide excellent advice and guidance. Each selling environment was unique but, regardless of the variances, your professional focused approach did not waiver. For this I am, and will continue to be, very thankful. We are repeat customers of this high-calibre team. The service and personal attention we received from Deb & Dave was exceptional. Their knowledge of the local real estate market and overall professionalism was imperative in making sure we got the best offer for our previous home but more importantly, the best value purchase for the new one! Regardless of whether you are buying or selling, we would highly recommend Deb & Dave to help you with any of your real estate needs. We could not have asked for more reliable Realtors to guide us through the entire process (for the 2nd time around)! We truly would highly recommend your services again to anyone who would be looking for a home. We want to tell you how pleased we are with the service both of you provided during the sale of our house and the purchase of our new home. You handled difficult negotiations in an always respectful and professional manner, and took a lot of the stress out of both buying and selling a home. We were impressed with how smoothly all transactions were carried out. You came recommended by our daughter after the sale of her home and purchase of a new home, and we will definitely recommend you to our friends. Thank you very much! Deb and Dave, words can’t express my gratitude. There was potential for things to go very wrong. Thank you so much for making this onerous task palatable…almost fun. I could not have accomplished the sale of the house without your ongoing guidance. I want to thank you for your professionalism, your straightforwardness in all dealings and above all Deb for so patiently listening to me and answering all my questions…I know I had hundreds of them; specially when I was stressed. My experience, to date, had been very limited when it comes to Real Estate and I want to thank you for making this whole process easy and above all a positive learning experience. We were transferred from the West Coast to Ottawa and needed to buy a new home. I cannot believe how lucky we were to get Deb and Dave as our realtors. They listened to what we wanted in a new house and asked what we had in our old house. They searched through 100’s of listings and selected ones that were matches. Deb sensed that while we liked some of the houses we first saw they were not going to be a “home” for us and she kept digging to find other options. When we saw the home we ended up buying we knew it was the one but Deb insisted we see a few more to make sure. She did not have to give up her time but in keeping to her true customer service she wanted to make sure we had seen every option so we would make the best choice for our family. When we were faced with multiple offers on the house both Deb and Dave guided us through the process and offered invaluable suggestions that ensured our offer was selected. Our whole family is excited to be moving to Ottawa into a dream home, all made possible by the tireless efforts of Deb and Dave. 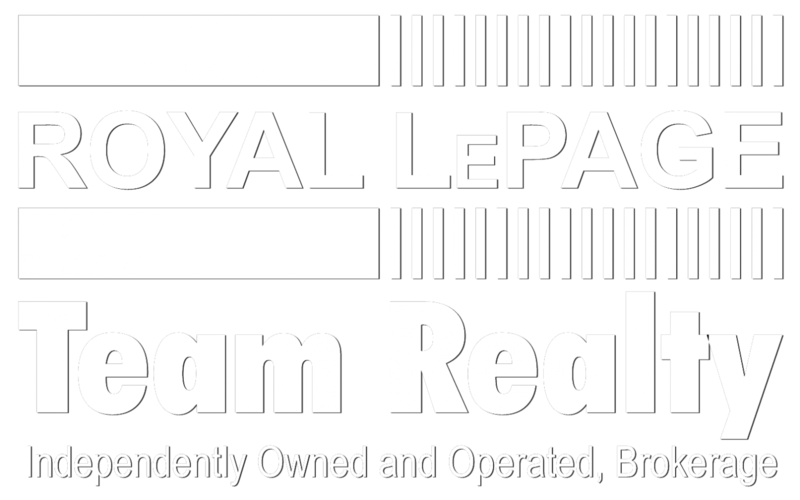 I truly believe they set the standard for customer service for Realtors in Ottawa. A big thank you to Deb and Dave. Not only are they both professional and knowledgeable, they make you feel that you are either their only client or one of very few. The personalized service was excellent. They understood well our needs and found us a home that met those. Both are patient and extremely client oriented. It’s those little extras that make the difference between a good agent/broker and an excellent one. We have no hesitation in recommending the ‘D’ team to others and certainly won’t hesitate to use their services in future (gosh – did we say that?). As first time home buyers both my wife and I had a lot of questions concerning all facets of the purchase of our new home. In this respect, Deb & Dave were extremely helpful in aiding us to navigate this process and made every effort to make us feel comfortable and confident in our decisions along the way. With their expert help, we were able to find a home that was perfect for us, in a neighborhood that we love. Clearly, we have absolutely no reservations about recommending Deb & Dave; their attention to detail, dedication and expertise make them an ideal match for the first-time home buyer. We very much look forward to working with them in future. This is our first home selling experienced and could not have asked for any better. We like the preparation of Deb & Dave – well researched prior to the price setting proposal. They kept us updated with comments from viewers at all time. We gladly recommend Deb & Dave to our friends and families for their service. Thanks Deborah & Dave for looking after selling our house. Our experience with you was magnificent and totally changed my perception of real state agents. Hanen and I were very impressed by your professionalism and your innovative way of doing business. As a project manager, I learned from you that project management could be applied to anything including real estate. I can tell you that this project was a success and we are grateful for that. I initially listed with another agent, and my home was on the market for 5 weeks with no results, few showings and no offers. I changed agents and listed with Deb & Dave on a Thursday night. My house was sold the following Tuesday, less than 5 days later. They promised they would “get right on it” and they kept their promise, with lots of great media exposure, and lots of showings. I was more impressed with the fact that Deb & Dave took the time to get to know me as a person and not just a name on a listing. They are genuinely warm and friendly people, and very supportive. Deb & Dave kept in touch with me from the moment I listed until I moved from my home to make sure everything was going smoothly and to offer any help I might need. I would highly recommend them to anyone without hesitation. I could not have asked for better service, and I thank them for that. We sold two homes with Deb and Dave, each taking only a couple of days, not because we priced them too low, but because they read the market exactly right and positioned them perfectly. Complicated transactions such as real estate only go smoothly when all the details are taken care of in a timely, professional manner, and both of our transactions were not only smooth but stress-free. They made the process simple, kept us informed of the progress, and made sure we knew what each step was. There were no surprises, no difficulties and best of all, we had a chance to work with genuinely nice people. If we ever sell a house again, we know exactly where to go. Living in Winnipeg with a condo to sell in Ottawa West presented significant challenges. Deb and Dave met these challenges very well. They are excellent communicators who listen carefully and provide timely practical advice, along with regular progress reports. Initially, they provided a detailed market evaluation and the condo sold higher than the estimate in a very competitive situation. I highly recommend Deb and Dave for effective, trustworthy service in the selling of real estate. Thanks a bunch!